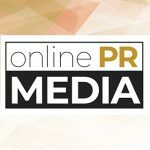 Online PR News – 11-July-2016 – Boston, MA – Consilium Global Business Advisors, LLC announced today that it’s founder, Ed Marsh, has been selected by the National Tooling and Machining Association Southwest Regional Conference (LA & San Diego Chapters) to present a keynote and breakout sessions on industrial internet marketing for attendees at the annual meeting. An industrial marketing expert, HubSpot certified Inbound Marketing expert and former owner of several international companies in industrial manufacturing, capital equipment and distribution areas, Ed Marsh is unlike most of today’s internet marketing consultants. He’s a strategy consultant that advises SMB industrial manufacturing clients on issues such as changing buyer expectations; impact of IoT and 3D printing on their business; and implications of these changes to their revenue models. Top line growth for manufacturers today is built on a digital footprint of effective industrial marketing – and Marsh is recognized for his ability to help SMBs achieve results beyond their revenue. It’s not enough to simply have a website. Companies that are accustomed to letting their precision work and quality products do their marketing are finding themselves at an increasing disadvantage as new generations of procurement and engineering professionals turn to mobile devices to search for leading suppliers. “We understand this space – both the buyers and the manufacturers – since we’ve both held those roles ourselves,” says Todd Hockenberry, President of Top Line Results, LLC. “We speak with an understanding of the challenges they really face, unlike many internet marketing agencies that may understand the steps, but not the industrial world.” Hockenberry, a HubSpot Gold partner, has helped numerous industrial manufacturers create dynamic top line growth for their very traditional businesses. The NTMA Southwest Conference will bring together members from CA, AZ, TX and other regional affiliates for a day event from August 5-7 in Irvine CA. Contact Cathy Teal (info@ntmasandiegochapter.com) for attendee and sponsor information or visit the site at https://ntmasouthwestregionalconference.wildapricot.org/.